洗完ENGINE 後, ENGINE 起唔到 - 油車技術討論版 - RC-遙控車RC-EVOLUTION遙控工房模型論壇 - Powered by Discuz! 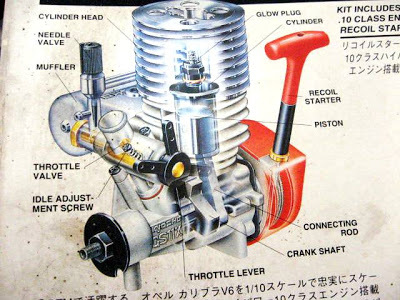 洗完ENGINE 後, 發覺ENGINE 起唔到. 唔知係咪個GLOW PLUG又死了. 部油車從二手舖買回來後只用了十光油, 但GLOW PLUG 就死了兩個, 請問我的ENGINE - KYOSHO GS11X 用25%油合適嗎? GMT+8, 2019-4-23 02:28 , Processed in 0.100285 second(s), 18 queries , Gzip On.